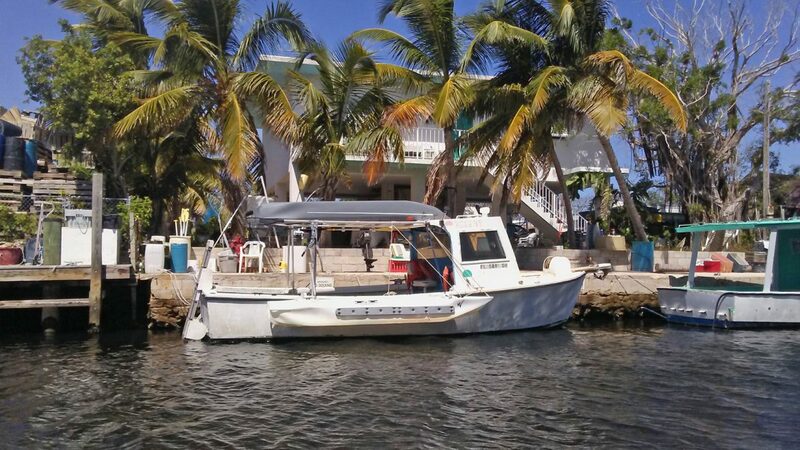 Quite a few years ago, back in the mid-1970’s, I was fortunate to work as a mate then captain of a large passenger carrying boat that took people snorkeling on the shallow coral reefs of John Pennekamp State Park in Key Largo, Florida. I promoted our business with the phrase “If you can swim, you can snorkel.” Twice a day, we hauled up to 61 passengers a trip on a wooden Harkers Island-built boat to witness the amazing coral reefs and tropical fish that are found right here in the United States. 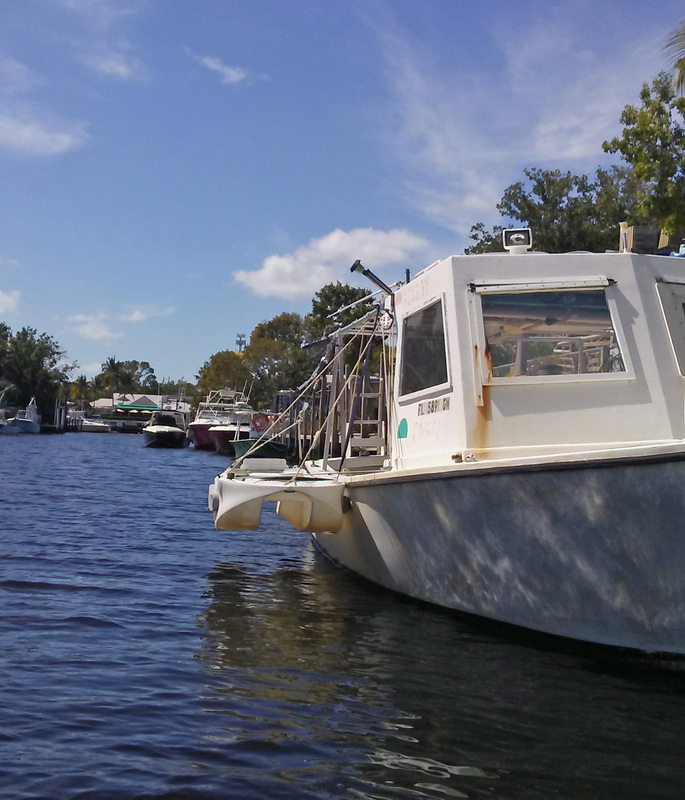 Today, the State Park concession that I worked from has about 4 multi-passenger snorkel boats that have evolved from that one vessel. Like snorkeling, there are many marine sports that have sprouted over my lifetime. Obviously, canoes have been with us for many years. But, who figured out that you could sit on top of a kayak or stand up to paddle a fat surfboard? These are relatively recent innovations that have attracted a huge following. Then, there are those Wave Runners. When I grew up in the Fifties, we never figured you could have a motorcycle that flew across the water. All of those sports are fun for those of us who swim but owning all four: a canoe, kayak, paddle board and Wave Runner is expensive, space consuming, and a major maintenance hassle. What if one vessel did all this, and more? 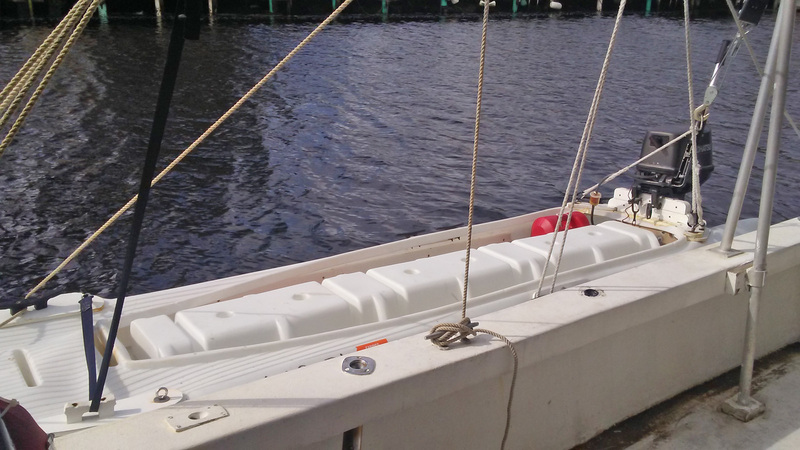 The Wavewalk catamaran style skiff is the stable and portable boat that literally, does it all. A visit to the company website at wavewalk.com will show you the W500 and W700 solo and tandem twin hull kayaks that are easy on your back because they are straddled like a Wave Runner. Fishermen are especially fond of the Wavewalk design because they are so easy to stand up in order to spot or cast to their prey. These magic boats can be paddled with kayak or canoe paddles or outfitted for gas outboard or electric trolling motor or both! And, they are lightweight enough to carry on top of your car without a special carrying rack or trailer. 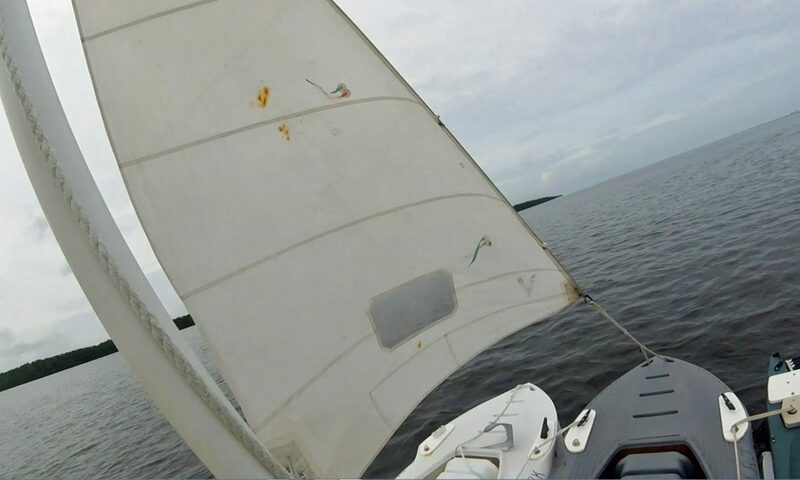 I discovered the Wavewalk design while I was searching the Internet for the perfect kayak to establish a retirement rental business in Key Largo. My first Wavewalk was purchased at retail price. That little W500 was so good that I used it in my commercial fishing business in the Chesapeake region to supply Blue Catfish fillets to Linda’s Cafe in downtown Lexington Park and the Victorian Candle Bed and Breakfast in historic Hollywood, Maryland. At present, in addition to two commercial fishing work boats, I have a fleet of Wavewalk kayaks for weekend Wavewalk Adventures in the State Parks and National Sanctuaries that surround Key Largo. And, I am fortunate to be the exclusive Wavewalk distributor for all of South Florida. 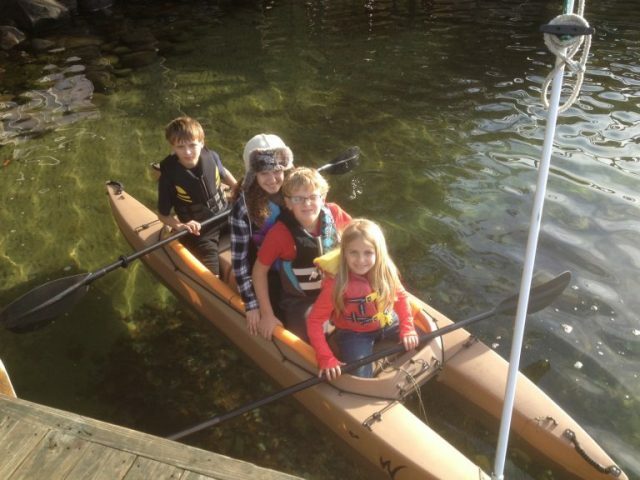 Contact me if you are in the Chesapeake region and I can arrange for you to have your own Wavewalk kayak. On a nearly daily basis, I motor my green W700 skiff through mangrove creeks or out in the ocean to make my own adventures exploring places that are almost impossible to reach by any other method of marine conveyance. This Wavewalk lifestyle is a most wonderful and unexpected retirement pastime that I am most happy to share. So, if you are tired of being cold this winter and want an excuse to visit the Florida Keys, you have one (as if you really need an excuse to visit paradise). Who knows? You might drive home with one. Why am I writing this review of the Wavewalk 500? This kayak has been around for close to a decade, and our website features over 200 Wavewalk 500 reviews that our clients have contributed over the years. But I thought that since in the past few years we’ve introduced the bigger W700 and S4, there may be a need for a more comprehensive and professional review that would tell the full story of this kayak, especially in comparison to our new models. I designed the Wavewalk 500 in 2008. Creating a cast aluminum rotational mold of this size and complexity takes a long time, so we rolled out the first production units of this kayak in 2009. Despite its small size, the W500 was the world’s most stable kayak for years, and it held this title till 2015, when the bigger W700 came out. A couple of years later, the W700 lost its title to the Wavewalk S4, which is currently the world’s most stable kayak, and is likely to maintain this title as long as Wavewalk doesn’t come out with an even bigger model, which is unlikely to happen. Simply, there is no kayak form that can produce more stability than that of our patented combination of a twin hull and a riding saddle. The Wavewalk 500 is still the world’s smallest twin-hull (catamaran) in production, and the most stable for its size, and at 60 lbs, it is also the world’s lightest production catamaran. The W500’s 1:6 Weight to Payload ratio (60 lbs /360 lbs) is remarkable, and only the Wavewalk 700 and Wavewalk S4 offer slightly better ratios of 1: 6.25 and 1:6.5, respectively. The Wavewalk 500 was also the first kayak to offer full standing capability and zero back pain paddling to practically everyone, including big and tall guys, elderly people, and people with various disabilities, ranging from fibromyalgia and sciatica to Multiple Sclerosis (MS), dislocated vertebrae, and spinal fusion. This is a unique ergonomic advantage that the W500 offers to people who otherwise would have been prevented from paddling, and it’s one of the things that has made it such a special boat. The W500 pioneered an era in kayak fishing, and to this day, only the biggest SOT and sit-in fishing kayaks that are much longer, nearly 50% wider, and twice heavier than this little, patented twin-hull kayak, can offer a level of stability that comes close to the stability that it provides. The W500 was much better than the proof-of-concept Wavewalk 300 (2004-2010), without being heavier, so it naturally replaced the W300. I like the idea that after the W700 and S4 came out, the W500 still has its diehard fans. 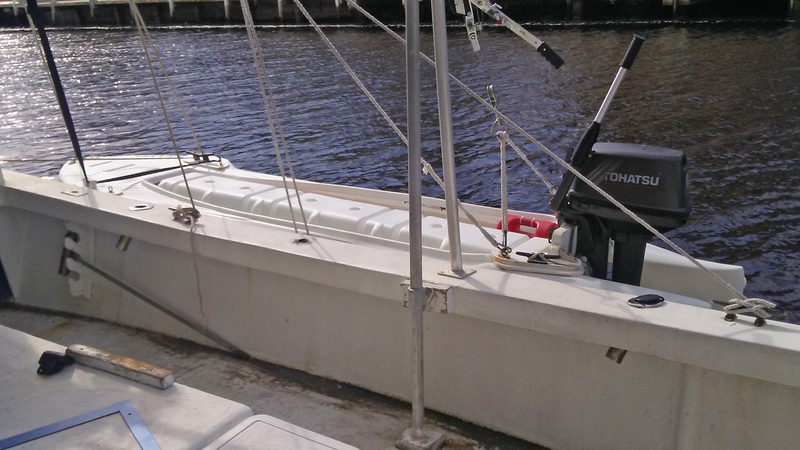 Over the years, we offered the W500 in a number of configurations that included various types of deck mounted and flush mounted rod holders, flotation devices, anchors, bungees, motor mounts, spray shield, etc., but in recent years we offer it ‘as is’. Nothing beats Simple. When it came out, the W500 did not feature a saddle bracket, and we left if to the owners to decide whether they wanted us to install this structural accessory in their kayak, or not. In hindsight, that was a mistake on our part, since some people who should have outfitted their W500 with a bracket chose not to do so, and sometimes damaged it. The damage was easy to fix, but still, these incidents could and should have been prevented. In 2013, we decided to offer the W500 with an integrated saddle bracket as a standard feature – Choice is not always a good thing, apparently, and we have learned that lesson. 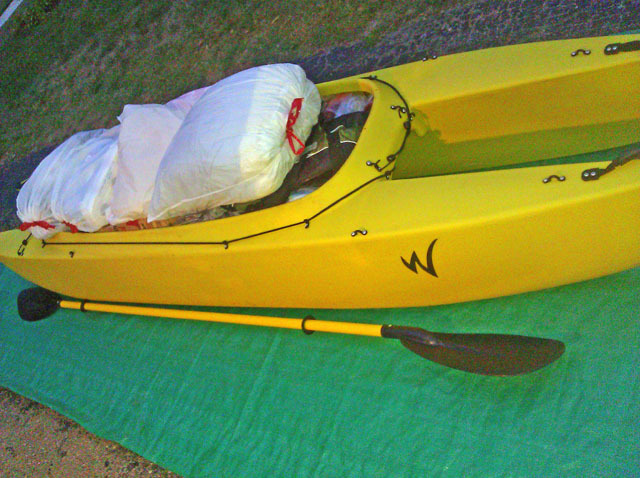 We also started shipping this kayak in a custom cardboard box, in order to better protect it during transit. Years before the Wavewalk 500 came out, anglers already outfitted their kayaks with small, weak, electric trolling motors, Several W300 owners did so too, and one of them, Jim McGivray, in the UK, outfitted his W300 with a 2.5 HP Suzuki outboard gas engine. But Jim’s project turned out to be a little premature, since the W300 was still not the right platform for motorizing with powerful gas engines. It was the W500 who became the first full fledged motor kayak, namely a kayak outfitted with a powerful motor, whose driver can drive it in comfort and confidence in rough water, including in the ocean. The W500 powered by a powerful outboard gas motor made electric kayaks look like supermarket’s motorized shopping carts. It still does, but when compared to an S4 powered by a 10 HP outboard, even the W500 looks almost like a toy. Sungin Kim, in South Korea, was the first to drive a W500 powered by an outboard gas motor. It was a 2 HP air-cooled Honda, and ironically, he didn’t like his motorized ride very much, at first, since it was so fast. Later, Sungjin got used to it, and went on many fishing trips in the ocean, solo and in tandem. Interestingly, around 2010, Captain Gary Thorberg experimented with mounting outboard motors on the side of his W500, but the advantages of transom motor mounts made them become the de-facto standard. We tested the Wavewalk 500 with a 6 HP motor, and we came to the conclusion that with that much horsepower, it was overpowered. 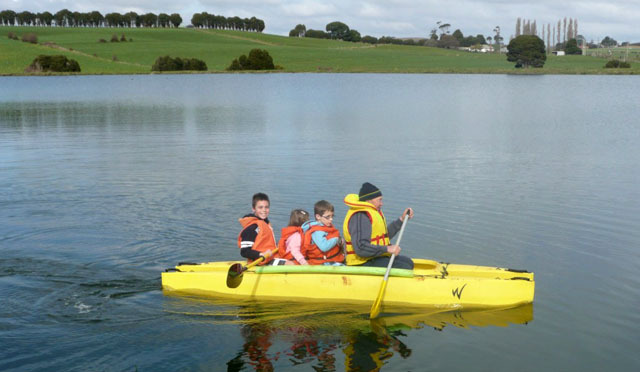 Currently we recommend not to exceed 4 HP with this little kayak. In 2018, Keith Sylvester was the first to outfit a W500 with a surface drive (a.k.a Mud Motor). Keith’s ride looks good, with no apparent problems. He proved that even the smallest Wavewalk is stable enough to work with such a special and demanding motor, in shallow streams and ponds. The W500 opened the era of full fledged motor kayaks, and it is currently the world’s third best motor kayak, with number two being the W700, and the S4 being the world’s best and fastest motor kayak, with a top speed of 17 mph, sustained. This record was achieved by Captain Larry Jarboe, of Key Largo. Oddly, we can’t think of a motor kayak that would fit in the fourth place, not because our competitors haven’t tried to come up with such a product, but because so far they have been unsuccessful. Simply, monohull kayaks don’t work well with powerful motors, and if you modify their form to make them work better, they no longer fit the kayak designation, which all Wavewalk’s kayaks do. Even large-size SOT kayaks that feature an outrigger don’t look good with a motor. The only class of small watercraft that’s comparable to the three Wavewalk motor kayaks are motorboats dubbed micro skiff (microskiff). Ten years after the Wavewalk 500 entered the kayak fishing market, it still offers much more on board storage space than its biggest competitors, whose overcrowded decks and tiny, hardly accessible hatches keep frustrating and disappointing anglers. Indeed, when it comes to fishing kayak design, storage is an unfinished, gloomy story, and a problem solved only by Wavewalk’s kayaks. 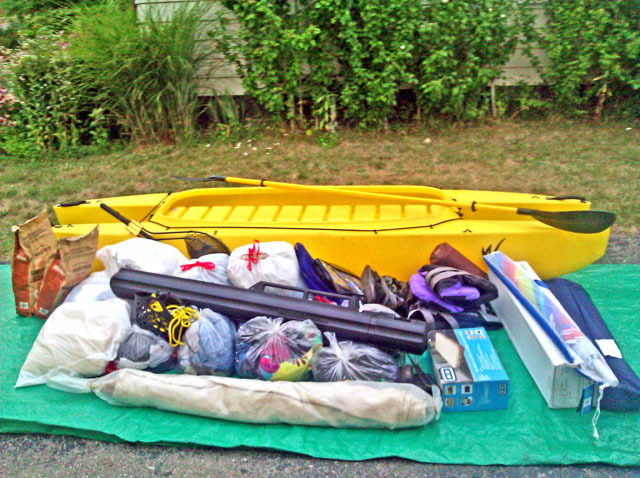 Before – How much gear can be stored in a W500 kayak? Indeed, many Wavewalk 500 paddlers who paddle it in strong wind and currents are unaware of the fact that it is missing a rudder, simply because they don’t need such an accessory. No paddler ever put a rudder on their W500, and the only W500 owners to use such accessory are those who sail it. The W700 is better than the W500 – It’s faster, more stable, roomier, and it can carry a much bigger payload, or more people on board. 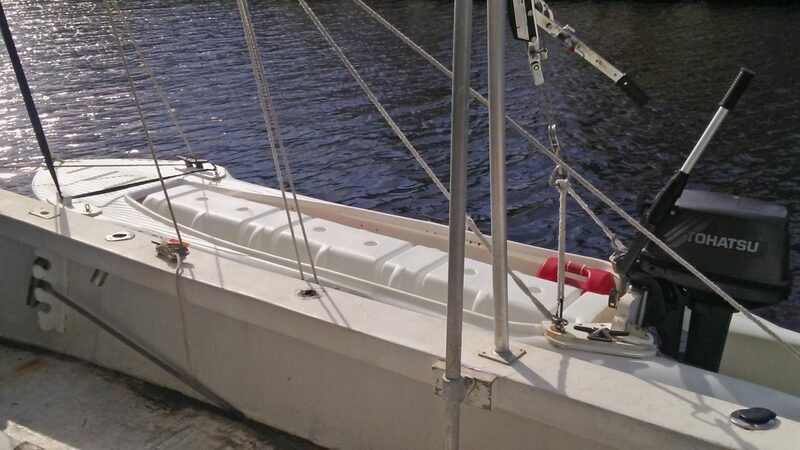 It also works better with powerful outboard motors, and it comes with an integrated flotation compartment instead of detachable flotation modules. The W700 is better for paddling, fishing, and driving, so why do some people prefer the W500? The answer is simple – It’s because the W500 weighs 20 lbs less than the W700, and it costs less too. Not everyone needs a fast and roomy kayak. After the W700 came out, and the concept of the saddle serving as a watertight compartment (flotation) proved itself, we played with the idea of applying this concept to the W500. But doing so would have added 10 lbs to the W500’s total weight, and we thought that at 70 lbs, and costing significantly more than its classic version, a modified W500 would not be attractive enough compared to the W700 that weighs 80 lbs. Some W500 owners have been using it for nearly a decade, and they’re not planning to switch to anything else (except maybe the W700, or S4). Such is Gary Rankel, a retired biologist and fisheries consultant, who wrote a book about kayak fishing, and one of the best client reviews of the Wavewalk 500. Gary also suffers from back problems, and the fact that he can spend up to eight hours in his W500, fishing, without getting out of it, is amazing to me. BTW, Gary is not the only Wavewalk user who spends such long hours in their kayak, uninterruptedly, which is to say that the saddle seat indeed delivers a back pain free experience. People use their W500 kayaks on flat water and in the ocean. Touring and fishing are the two most popular applications for the W500. Other, less common but interesting applications are photography, diving, bow fishing, treasure hunting, sailing, rowing, and servicing big boats (boat tender). They also use it for other outdoor activities as well, from ice fishing in Sweden to duck hunting in various regions of the US. Geographically, the W500 has users and fans worldwide, including the following countries and regions – Japan, South Korea, Thailand, Australia (countrywide), New Zealand, UAE, Canada (countrywide), the US (nationwide, including Alaska), various parts of the Caribbeans, Panama, Paraguay, The UK, Sweden, Norway, Denmark, the Netherlands, Belgium, Switzerland, Austria, Italy, and Greece. So this is the story of this little kayak, the W500, as I see after ten years. If you ask me if I would have designed it differently today, knowing that its end weight is required not to exceed 60 lbs, I’d say that I don’t think it’s possible. This rig works quite well for hoisting the S4 out of the water. The major component is a heavy duty come-along (hand operated winch) from Harbor Freight.